Serving Directions As a dietary supplement, take two tablets daily. Studies have shown that taking creatine is beneficial before, during or after exercise. Therefore, timing doesn’t seem to matter. 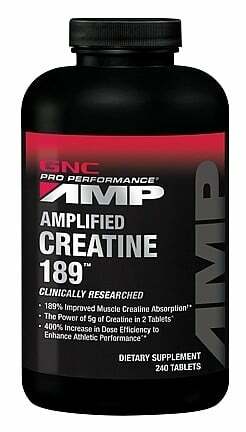 Take Amplified Creatine 189™ daily at a time convenient for you. Precautions Keep out of reach of children. After opening, keep tightly closed in refrigerator or other cool place. Consult your physician prior to using this product if you are pregnant, nursing, taking medication, under 18 years of age or have a medical condition. Discontinue use two weeks prior to surgery.